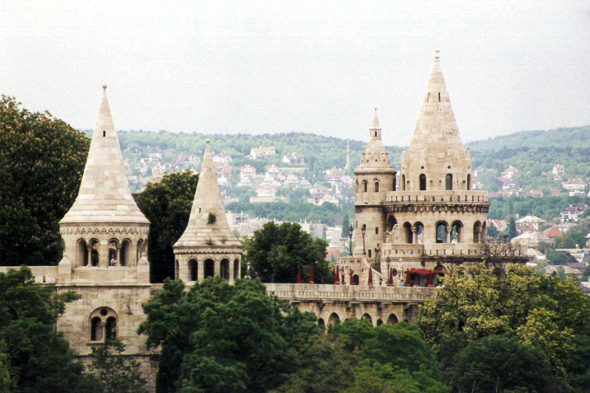 The Bastion of the Fishermen, (Halászbástya), token monument by Schulek for the celebrations of the Millenium, but which was not finished before 1902. This building neo-Romanesque is crowned of seven turrets representing the seven tribes Magyars which conquered the country. One allots his name to the fact that the corporation of the Fishermen had, at the Middle Age, the responsibility to defend this part of the walls of the Castle.